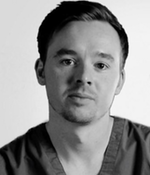 Dave graduated from Edinburgh University in 2009 and continues to have a keen interest in teaching and examining undergraduate medical students there. He trained in Emergency Medicine in the South-East Scotland Deanery before being appointed to a substantive Consultant post at The Royal Infirmary of Edinburgh. His specialist interests involve Prehospital Emergency Medicine and Retrieval Medicine, regularly undertaking clinical work with the Emergency Medical Retrieval Service. He also has a keen interest in the use of technology in healthcare and is the developer of multi-award winning iOS Apps for the Emergency Medical Retrieval Service, The Scottish Paediatric Retrieval Service, EMRTS Cymru in Wales and MedSTAR South Australia. He is also the developer of this website. During his training he undertook a clinical leadership fellowship with The Scottish Government where he was responsible for the implementation of a quality improvement curriculum undergraduates and for doctors in training. Dave has an extremely patient, handbag-obsessed wife who despite discussion with the training programme director was unable to make him work even more hours!! In what little spare time he has he enjoys eating out, and generally relaxing!